Well now what a week it has been. It is times like these that I seem to resonate with the words of House Baratheon, "Ours is the fury." The world has changed. The air is vibrating with new possibilities and potentials. Some of these tangential realities are quite frightening, others have the opportunity to really push forward to a kinder and more sustainable form of civilization. Which ones manifest will depend greatly on how we conduct ourselves. Entropy is the agent of change. Entropy in this case is the force or processes which breaks systems down. In the biological kingdoms the fungi excel at their use of entropy breaking down waste and converting it to something useable. They are the ultimate recyclers, and up cyclers. Entropy is associated with death and endings, but the flip side is that without it there are no beginnings. Change is stressful and often invokes fear and resistance. Change can also be invigorating and spur growth. Look above at the picture. 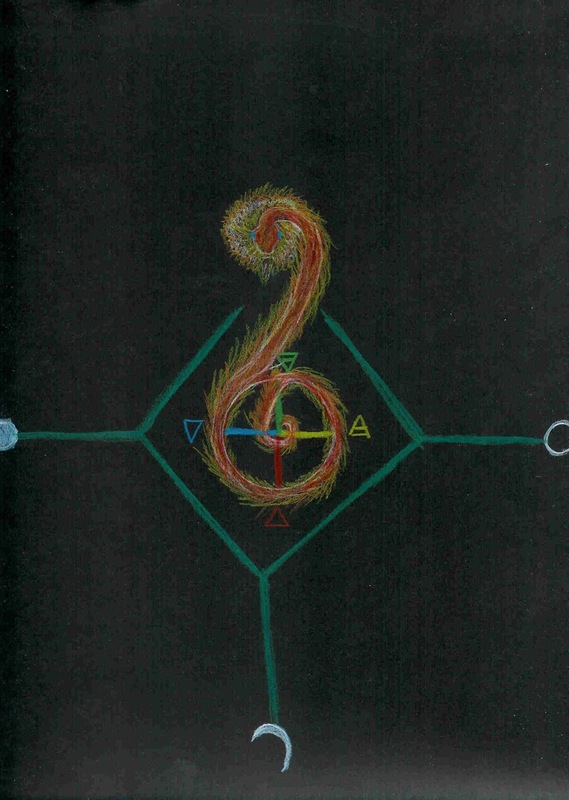 The green crystal of life's pattern has burst open, broken by the fiery serpent with his tail wrapped at the center of the wheel of the elements. 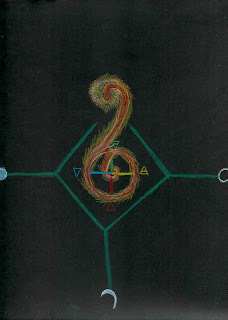 This is kundalini the waking of the secret fire that sleeps within our base nature. Waking up is not always pleasant. Those of you who use buzzer alarms know this on a visceral level. It is jarring and uncomfortable. Right now many of us are going through an awakening and it is not the gentle kind of slowly rousing to the sound of birdsong. Right now it feels more like the fire alarm going off at 4 AM. That can leave you kind of cranky. I know I am not at my most bright and cheery. Compassion you say? What the hell is that? Fight or flight patterns are being triggered in us. Adrenalin is an effective way to shake you up and get you to pay attention, but it isn't a healthy state to maintain. Kundalini rising is written about with modern new age rose colored glasses these days, but a spontaneous kundalini activation can be dangerous and frightening. So why am I telling you this? Well world events are quite chaotic right now, and many of us are trying to get our bearings. Structures are being broken and it has created a lot of upset. Many people feel like their hearts are breaking, and yet I see people coming together to support each other. I see more people becoming active participants in the societal structures of our world. What if we saw entropy not as an ending but as a catalyst? What if our hearts weren't being broken, but instead were like eggs, broken open so a new life could be born? What if this apparent darkness moves us to sing back the light? Now I could be wrong, I mean it happened once before. Like I said above what will be manifested will depend on us and how we show up. So ask yourself do I really want what has been the status quo? You may have preferred it to what is being offered up, but you don't have to accept that reality either. If you could change the way the world works what would you like to bring into it? Are you willing to act to bring needed changes? Are you willing to go back to sleep? The Hopi prophecies were right, we are the ones we've been waiting for. Good morning my dears we have a lot to do today. I hope you had a productive week. This was my first week back at the gym since recuperating from a cold. It's also been a week of meetings and plans being laid. Despite the up in the air feeling that has prevailed for the past two months I may start to nail some things down...for now. Two weeks ago I had the benefit of working with a friend whose skills I respect highly. I've been doing a lot of personal work to remove blocks and internal struggles within myself the past year or so. What they saw in my energy field this time took them by surprise, a hidden attachment and a broken place in my energetic structure. They'd never been aware of it before and yet it had been there for years. So he gave me some information and then trusted that I could get rid of it on my own. I was excited to get started and went home that night to journey to my teacher. Well the work was done by a master teacher during a shamanic journey. I felt a huge surge of heat and energy as I popped in and out of consciousness during the shamanic trance. I went to bed and the next morning when I awoke I was exhausted. It felt like I hadn't slept in days. This was the day I had planned to start back swimming, but the idea evaporated. I went to teach my class then came home and fell into nap for most of the afternoon. The following day I woke up still tired but not quite as worn out. Still I had a day of teaching, clients, and ceremonies. After my last client of the day I passed out in my chair at my office. Now my friend had told me that it could take some time for the energetic structure to heal and that I could be tired while it was repairing itself. One of the other side effects I experienced is that I was even more sensitive to energy and people than normal. When I went into teach the first day after the work I was bombarded by the cacophony of people as I entered the gym. All of this was very noticeable to me, but what struck me even more was I had a desperate need for feedback. I wanted to make sure that I had handled the issue right. Even though I didn't do the work a guide did it, I wanted validation that what I had sensed and received was accurate. 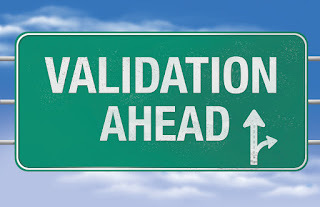 Now there is nothing wrong with seeking validation and confirmation of psychic information, particularly as you are learning to sense and interpret what it is you are seeing/feeling/hearing. However, the genesis of this particular problem had come about because I had stopped trusting my own senses and started relying on others. Years ago I was involved in a group of people that were working on growing their psychic and energetic abilities. From early on one of the members cast me as the person in the group with no particular talent. They even joked about it, but it was one of those jokes that cut. I would sense things that they'd do and then they would deny it. They eventually wore down my self esteem and awareness until I became extremely vulnerable and basically couldn't trust my own eyes (or at least my third eye). Keep in mind that up until this time I had considered myself fairly psychically gifted. I had read for people since I was 14 and so I had more than a decade of experience with psychic phenomena at the time. So although I knew I wasn't the most gifted reader in the whole world, I was fairly confident in my ability. That was over though, now I was being gaslighted constantly. Although I eventually escaped from that group with my life, the scars it left took years to heal. Flash back to this past week. This process of healing was continuing and I was excited about it, and even wanted to talk to other healers in my sphere about it, but above all else a big portion of me was desperate for validation. I was about to ask for it when something clicked into my head, "Wait a minute that's how all this got started." I realized as much as I craved that validation I must not ask for it. I needed to trust my own intuition and guidance otherwise the healing would never really be complete. So this has left me both frustrated and hopeful. Frustrated in that I really want external validation. Hopeful in that if I live a bit with this discomfort a deeper pattern can be transmuted within myself. 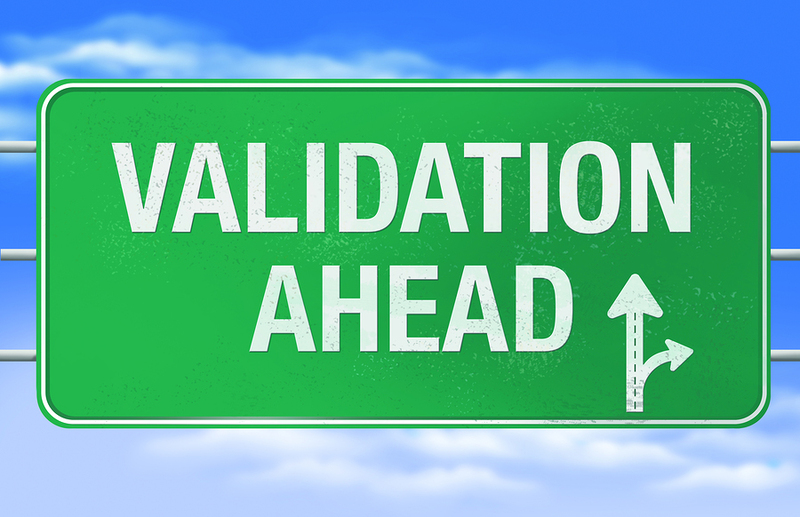 We all seek external validation. It's like hard wired into our egos. The problem is that there will never be enough praise and support. Even if we are constantly showered we will continue to need more and more. This becomes even more problematic if we have created our identity externally. Unfortunately most of us have, it's part of our culture and the trend is accelerating. The dark side of social media is the empty feeling we sometimes have that we didn't get enough likes, that our vacation photos aren't as good as our friends' pictures, that we just aren't as successful or happy as those around us. The truth is though, that most of us have that the core of doubt about who we are, and so we are constantly seeking others to tell us who and what we are. We try buying our identity with wardrobes, cars, houses, vacations, and electronic toys. We seek accolades and applause from our peer groups. We worry constantly what others are thinking about us, completely unaware that most of them are worried about the exact same thing. The need for external validation is a black hole that will never be filled. The only thing that can calm it is an internal knowing of who we are, and that takes some discomfort to experience. We have to unplug from that external source and tap in to the source within ourselves. We know who we are, we've just forgotten. So why am I telling you this? Well you're pretty awesome, but you won't believe me if I tell you that, or if you do that will fade quickly back into your base state of self doubt. No one can tell you who you are. They can reflect back what you are putting out, and the more they know themselves the clearer and more coherent that reflection will be. However until you decide to trust yourself, your feelings, your abilities, and your dreams you won't see that reflection. I'm not saying that you don't deserve to hear what a good job you're doing, we all need encouragement from time to time. Especially when we have fallen down into one of life's challenges. What we do most of the time though is jump from one ego fix to another, just like a heroin junkie. The only difference is we're not injecting a drug, we're injecting people's opinion of ourselves. Here's a hint most people's opinion about you is completely wrong. They just don't have enough data. Why would they know more about you than you do? You spend every minute of every day with yourself. So this week unless you absolutely need an opinion or approval for a work project don't ask for someone else to validate you or what you do. Try it for a week. See how deep the addiction runs. Just become aware, I'd say let me know how you do, but I won't be giving you my feedback either. I hope you had a pleasant week. We've had several seasons in seven days. There has been a little sun but mostly we've been in the gray haze that tends to define January and February here. I'd been sick the week of new year's and was just starting to come out of it this week with just a bit of tiredness. The dismal overcast days didn't do much for my get up and go though. January often feels like a nebulous time. The days are longer, but we often don't notice due to the cloud cover. In these dreary days it can be a challenge to get outside and interact with the dozing trees. Winter is the time for long nights and dreams, both of night and the more fleeting daydreams. While we should try and be present in our season those daydreams often have given me some of my greatest inspirations. When the bones of the earth are laid bare with barren branches and the wind drags its claws across a cold land, I see the intricate geometry of nature. It is often in this season I am most in tune with an energy I categorize as elven. What we think of as elves is mostly inspired by Tolkien's work; in his turn he based the elves heavily on the Daione Sidhe. I associate them with guiding nature's hand and crafting wonders inspired by the world of growing things. Now during the spring, summer, and autumn I feel more strongly the energies of what most people think of as faeries. Yes I am sure the more serious readers out there are tuning out about now. They're thinking, "What gives Mooneagle? What's all this fluff about the fair folk? I thought this was a serious blog for spiritual topics." Well part of the reason I write this blog is to show you I'm a real person. I'm not a guru. I flow with many different types of energies and the one that gave me a big start was my connection to the green realms. I have found these energies have an aura of such awe and sacredness that few churches or temples could match. The energies of our 'good neighbors' are close to my heart. Not only that but I draw on these energies in some of the healing work I do for myself and clients. One morning this week the wind was up. I had my first day of not needing cold medicine. I slept right through my alarm which is almost unheard of. It was the monthly test of the emergency sirens that finally woke me. The wind had been gusting all through the night bringing with it strange dreams. The normal storm siren sound was being twisted and distorted by the wind. It sounded more like a chorus of unearthly voices wailing. Had I to place it, I would say it sounded what I imagine the cries of the banshee would resemble. The rest of the week settled into a rhythm of deep dreaming and hidden currents of magic running like underground rivers welling up suddenly to stir the events of life. 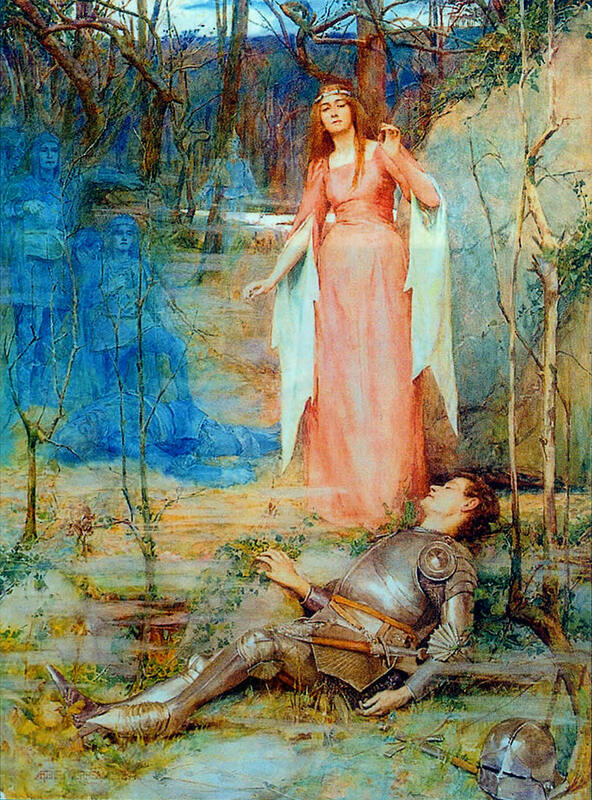 The banshee's cry is often associated with death and mourning, or as a warning that dark and dangerous times are upon us. I don't know what it meant for me personally, although I do know that much of what has been my life will be passing away within a year, and I do see dark times ahead for the world. Still the sound of the wailing winds was familiar and felt like it was reaching out to comfort and engage my spirit. So I am going to feel more into my emotional connection with the near realms of Faery. To me they have always felt like home. So why am I going on about this to you? Well the world is speaking to you: through the winds, the falling rains and snows, the dance of the tree limbs, and the calls of birds. Maybe you share my love for the green realm, or maybe a different realm calls to you. Maybe the realm of the stars and celestial folk is your heart home. Maybe it is with the denizens of the deep waters. Perhaps the serpentine paths of dragons fires your soul's longing. It could be among the carved icons of saints and within the patterns of stained glass in temples and churches of stone. The sacred is calling to you, quietly singing amidst the din of the distracting world of men. Will you answer that call? Will you sing back? Will you seek for it on strange paths both new and old? The old stories are walking now, the wonders of the world are stirring from their slumber. Will you sing a walking song? I'd suggest you put on your boots, grab a stout stick, wrap yourself warmly, and venture out into the wild world of story. Maybe it will not make your life easier, but it just might make your life richer. Welcome to the new year. Here in the USA we're having this thing called winter. This week gifted me with the first snow of 2017. It wasn't a lot, and the picture above is actually an older one I took several years ago. Our accumulation is much more modest this time around. Winter is another country. It is dark, it is cold, and it seems forever. Being from the sunshine state originally I've had a hard time adapting to winter. It really curtails my activity. Post holiday blues often hit hard the week after new years. I start thinking about what I am going to do in the spring and summer. This is of course not living in the now. I've learn to tolerate winter but I am still learning to enjoy it. I got a boost Thursday with the snow. 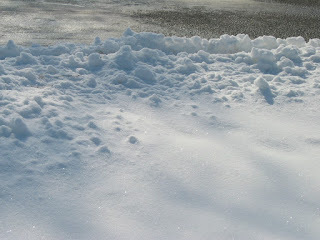 The snow fall was that light fluffy stuff, instead of the heavy wet flakes. As I was walking into my morning class, it fell gently in front of me in huge flakes. As it landed on my gloves I got to see the individual snowflakes. They were beautiful. 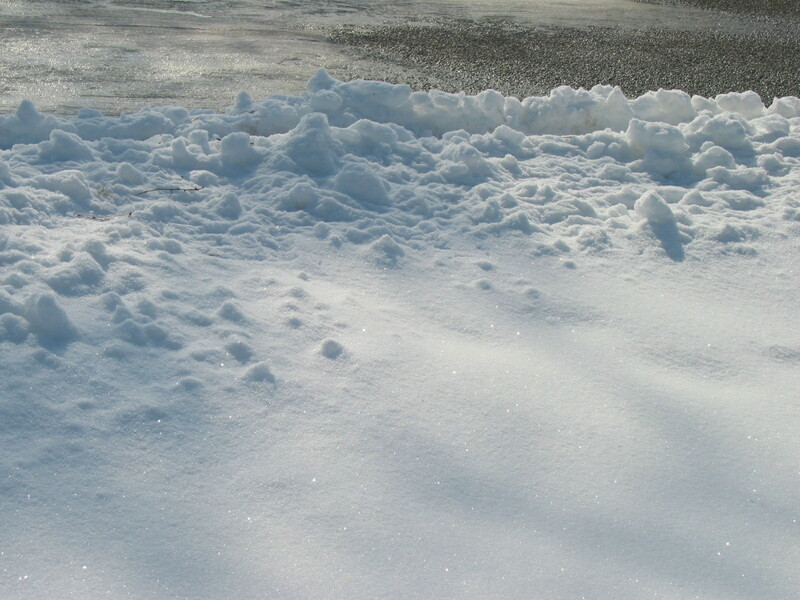 Not every snow falls in a way that you can see that characteristic crystalline pattern, but this one did. Each flake was a delicate flower of white crystal. Each time they fell it was a tiny work of art blessing me. In shamanism, everything is alive and has a spirit. Snow has a spirit, and from various journeys I can tell you it loves us and it falls in perfect joy. We human beings have a different view of it, especially if we have to shovel a lot of it or be out in it. In ages past snow gave many time to rest. Travel ceased in many places. Life slowed and we turned inwards. These days people either freak out about it, or they ignore it and drive crazy. (Which explains the freaking out part for the rest of us). I myself limit my travel in winter. It is not the time for wandering. I save that for when the southerly and western winds call. When we step back from the pace of modern life we can appreciate the beauty of winter and snow. It blankets the faded ground. It reflects the dim light brightening the world when the sun is scarce. It brings the quiet. Silence settles on the outside as the sound is muffled by the snow. The very air becomes filled with quiet sacredness. It is almost as if Mystery is holding its breath about to utter a great secret. When we rush we risk not only accident, but we risk missing the beauty in the world. So why am I telling you all this. Well the decorations are mostly down in our homes. The lights have been turned off. We've been surrounded by artificial symbols of beauty and hope. The days can seem dim, and the nights dark and full of terrors. (Yes a Game of Thrones reference I couldn't help it). It is time now to seek that light and beauty in the world around us. How we respond to winter is a testament to our energies. We do not have the abundance of sun and green growing things to buttress our spirits. This is all us right now. Now we must lift our own spirits and the spirits of those around us. It is no accident that so many holidays fall around the darkest part of the year. They are there because we need them to be there. Now, as we move through Winter's country the light we carry will be our own. We are responsible for bringing light into the darkness. We are called to bring warmth into the cold. We are charged with finding the beauty in the bare bones of the land. We are summoned to be compassionate to the creatures of the earth, ourselves included. So bless the snow in its beauty as it falls as it blesses you. Be present in the long nights, for here now in Winter's country the stars are bright.